Success in all areas of mathematics starts with a solid knowledge of the basic facts. 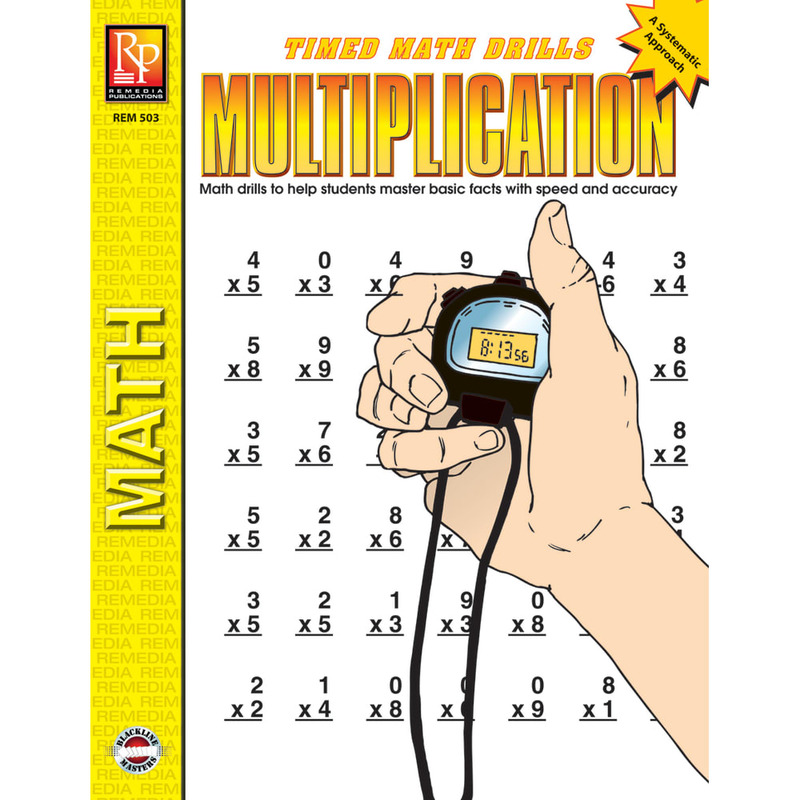 This book provides concentrated practice of basic multiplication facts to help students reach mastery level. 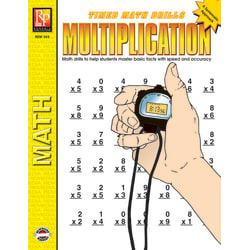 Timed Math Drills: Multiplication provides step-by-step practice in multiplication that starts with whole-page calculations using the same, single factor (1 thru 9); progresses to calculations using two different factors, and then to all-inclusive, mixed factors. The goal is to achieve mastery at the highest possible accuracy level in the lowest possible time. Progress chart and award forms are included to validate students' achievements. Sign up for special offers and news sent directly to you. © Copyright 2018 Powered by Catalog Solutions Inc.